Los Angeles, CA, October 10, 2017	(Newswire.com) - The Prince Synergy (www.ThePrinceSynergy.com) announces that they open its leadership practice and programs internationally to minimize "intractable issues" in leadership and top team performance worldwide. 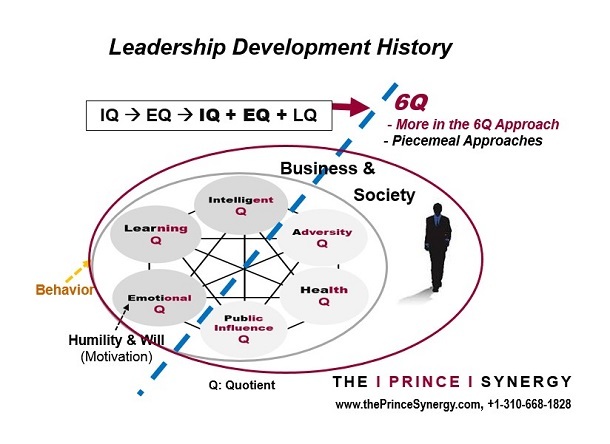 The Prince Synergy focus on building level 5 leaders, exceptional CEOs, and optimizing top team performance since it is the most efficient way to empower millions at one time. The Prince Synergy's programs and classes are designed to target the compound challenges at the top, including those that no one else can, for example, how to know talent deeply, manage self-induced conflicts, and build resilience. Unlike others, The Prince Synergy assesses the root causes of development needs instead of analyzing behaviors that can have many root causes. In addition, The Prince Synergy emphasize on catching development needs before the “360-degree assessment” and taking early actions. Ms. Bin Yang first invented the 6Q approach at clinics and helped many patients meet challenges and stay healthy. The holistic approach bases its interventions on business, law, medicine, psychology, and evaluates the whole 6Q system simultaneously to identify the root causes and make learning easy and fast. The Prince Synergy chooses solutions through its diagnostic program. It has programs that take leadership from good to great, manage conflicts, multiply leadership styles, and pursue organizational benefit efficiently. It also has programs that aim to improve leadership skills and performance in days to weeks or target other unique needs. Some clients are highly interested in its practice classes since workplace practices are unavailable to everyone or do not have the piece they need consistently. 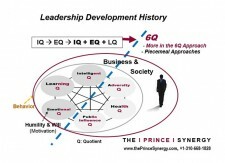 The Prince Synergy’s video, “Join Us, Minimize the "Intractable Issues" in Leadership & Top Team Performance!” can be found on Youtube (https://youtu.be/E1BjvALU1QA), and book "What Stops Leaders from Good to Great?" is available on Amazon. For more info, or to schedule an interview, lecture, or appointment, please contact Judith Sullivan, press@theprincesynergy.com, or 310-668-1828.